Google Measure, an app that — get this — lets you measure things, debuted in 2016 as a Tango exclusive. 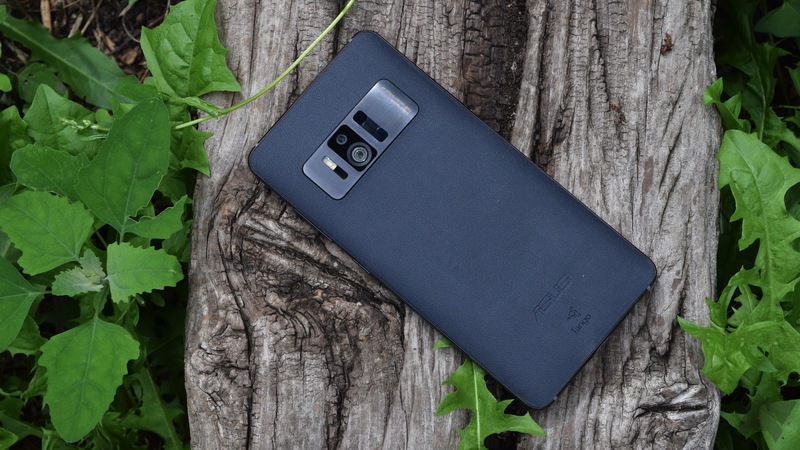 But with advances in augmented reality tech in more mainstream handsets, a lot of things only Tango could do are trickling down to devices regular people use. 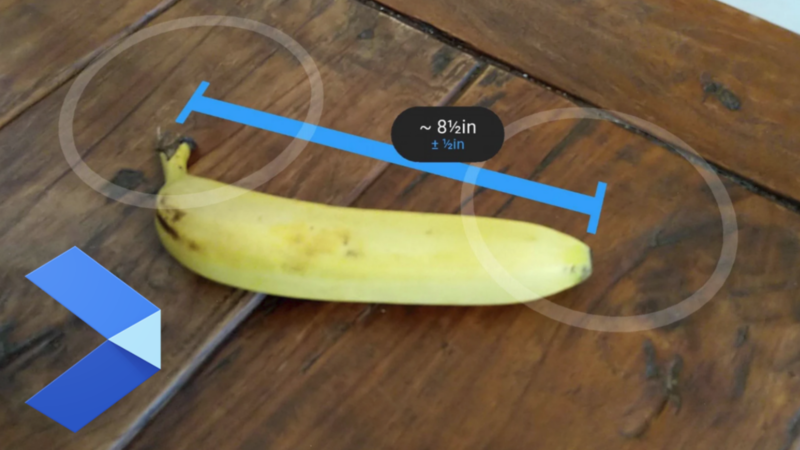 That includes Measure, which is now compatible with ARCore devices. The ZenFone AR was a peculiar device when it launched. Just looking at the specs, it seems rather beefy for the time—few phones with the Snapdragon 821 had 6/8GB RAM options. This was all intended for use with Google's Project Tango augmented reality platform, but that was unceremoniously killed last December. 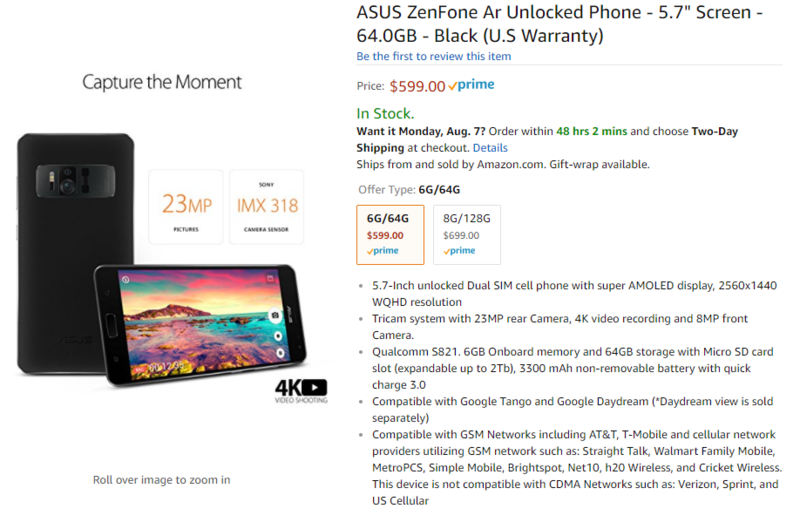 As a result, the ZenFone AR is getting a $200 price cut. 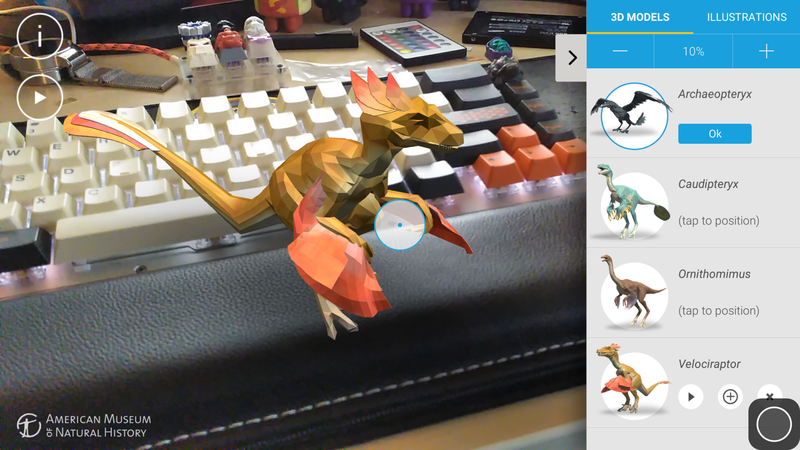 Project Tango was Google's first attempt to bring a solid augmented-reality experience to the average user. It relied on an array of cameras and sensors to accurately map 3D areas, which led the (few) devices supporting Tango to be rather large and expensive. Today, Google announced that it is ending support for the platform. Google has partnered with another manufacturer to produce a phone with Tango on board, for better or for worse. Stepping up to the plate this time is Asus with the ZenFone AR. The first phone ever to support both Tango and Daydream VR comes in a much, much smaller package than last year's Phab2 Pro from Lenovo, and accomplishes both things in an arguably better manner. The ZenFone AR comes with a pretty good camera, a nice Super AMOLED screen, Nougat, and the least offensive version of ZenUI to date. Unfortunately, it's the battery life that really drags this phone down. There has only been one Tango phone up to this point, the hilariously oversized Lenovo Phab2 Pro. Now, Asus is arriving on the scene with a phone that actually looks like a phone rather than a re-badged tablet. 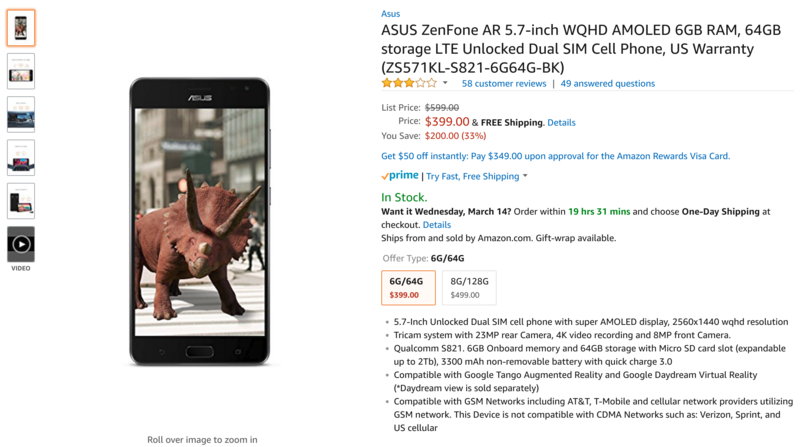 The ZenFone AR went on sale through Verizon last night, and now it's live on Amazon as an unlocked device. For a mere $599, you can begin exploring augmented reality, which I hear is way cooler than regular reality. The first phone to be equipped with Google's Project Tango augmented-reality capabilities was the Lenovo Phab2 Pro. If you read our review, you'll know that it wasn't a good experience at all. But another Tango-powered phone is on the way, and you can order it now from Verizon. Tango, beside being a cool dance, is also a chatting application similar to WhatsApp, Telegram, Allo, and countless others. It may not be as well recognized as some of these brands, but it is popular in some countries around the world. 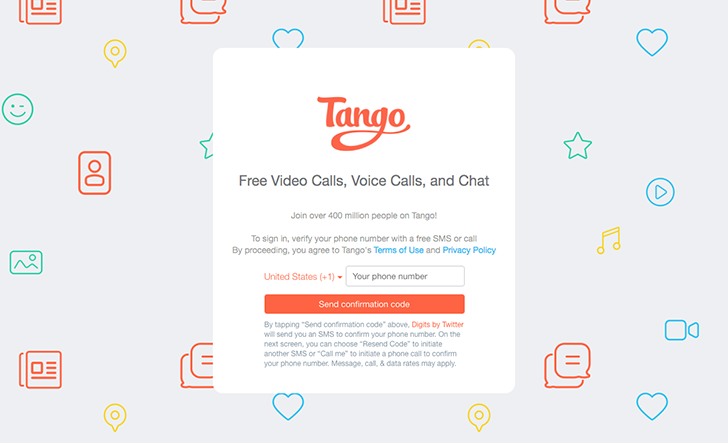 And just like many of its competitors, Tango is now spreading from mobile to the desktop. The Tango WebChat app is live at web.tango.me. You sign in by verifying your phone number and once you're in, you can chat with all your contacts and continue your mobile conversations from the comfort of a larger screen and more responsive keyboard. As someone who uses WhatsApp Web all day everyday, I can assure you that there's a lot of convenience in being able to do everything from your desk without having to pick up your phone to reply to each message you receive. 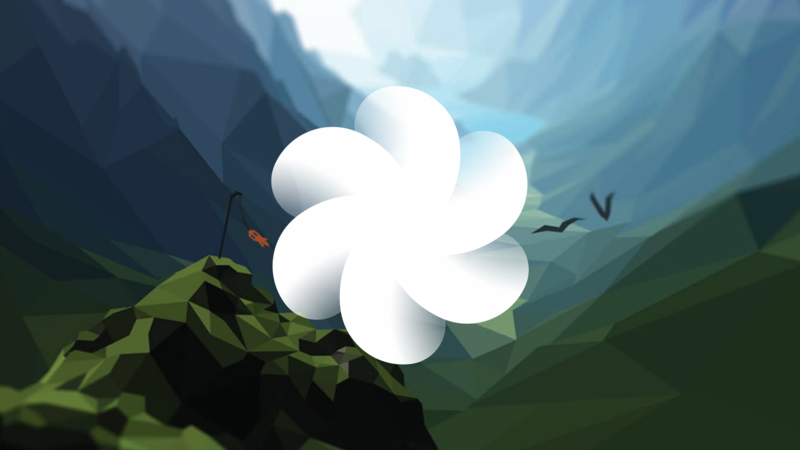 In all of the hubbub of yesterday's I/O keynote, Google took some time to mention a few changes and additions coming to Daydream and Tango, its virtual and augmented reality platforms respectively. While we got some interesting news about Standalone and WorldSense, Google has revealed more information about what we can expect from the future of VR/AR. The Wall Street Journal has just released a new Android app called WSJ AR. 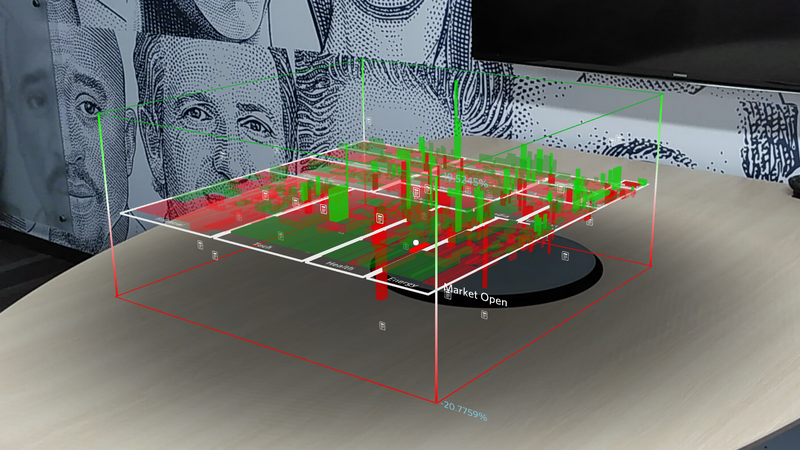 It is an augmented reality app that allows you to navigate a visualization of the US stock market via your Tango phone. In addition to overall market representations, you can zoom in to look at individual stock details, view headlines related to the selected stock, and save your favorites. You probably don't need a Tango device. While the Google-developed spatial awareness tech is cool, it's also incredibly niche, and there are only a few fleeting practical applications for its use once you get past the admittedly nifty tech demos. But if you can in fact justify several hundred dollars for a one-off design, there's a way you can save a few bucks today. Lenovo is offering $50 off of the Phab 2 Pro, the first (and very likely only) consumer device with Tango camera tech, bringing it down to $449.99.